C'amai! Here at the Alaska Native Village Corporation Association (ANVCA), we are committed to promoting the success of Village Corporations, and also working on behalf of Village Corporations to promote their interests in a variety of ways. Here is an update of the work that ANVCA and Village Corporations have been doing in spirit of that mission. This is an updated version of the original Oct. 2017 newsletter, as more exciting news has been brought to our attention since its original dissemination. It is a busy and exciting time of year as we prepare for one of the largest gatherings of indigenous peoples in the World, the Alaska Federation of Natives (AFN). ANVCA is honored to be on the AFN agenda this year and we are excited to tell you all about the great work being done at our organization. Please be sure to check out our presentation at AFN, where we are scheduled to present Friday, October 20, at 10:20 am at the Dena'ina Convention Center (DCC). Following this presentation, we will convene the Village Corporation CEOs on the second floor of the DCC in Room 3 from 2:30 - 3:30. ANVCA has some very important updates to share with our membership in regards to our various legislative efforts in 2017. We are encouraging both our full paid members and affiliate members (all Village Corporations) to attend and to please only send one representative per organization to hear these exciting new developments. It has been an absolute pleasure to serve as your Executive Director since the beginning of 2017. It has been an amazing year of growth and transition here at ANVCA. We have been gaining new Village Corporations as paying members almost weekly, and we hope that momentum continues as we have now developed a dues system that allows all of our Village Corporations to participate at some level. I want to personally thank each and every one of our new paying members, as we view your contribution to the organization as a sign of confidence in the work that we are doing. If you have not yet joined as a paying member, we are still counting on you to participate in 2017. Our collective voice gets stronger and stronger every time we gain a members confidence, so please REGISTER TODAY! If you have not had the opportunity to stop by our new office in downtown Anchorage, please visit us at 880 H Street Suite 201. We would welcome any opportunity to visit with our membership about the goals and objectives of your organization. We are always looking for ways to assist our members in their endeavors wherever possible. Our extensive partner network allows us some amazing flexibility and options to assist you. We have just recently wrapped up a very successful Washington, D.C. Legislative Fly-in, which you can read about in detail in our 2017 fly-in report. I am especially grateful for all the hard work that my staff put into organizing and executing the Fly-In, something they had never done before. I am truly blessed to be working with some of the best and brightest Native youth Alaska has to offer! Thank you to all of those that took the time out of their busy schedules to join us in D.C. The trip was very successful and we are already planning for areas of improvement next year. We are truly blessed to have such high participation rates for these events. Keep watching your inbox for opportunities to get involved, as we are developing more and more opportunities for our partners to interact with members to develop mutually beneficial relationships. Over 25 participants joined us on ANVCA's annual Legislative Fly-In event in Washington, D.C. Through approximately 30 Congressional and agency meetings over two and a half days, participants and ANVCA staff advocated on a variety of issues and legislative priorities pertinent to Village Corporations, including Contaminated Lands, Infrastructure, 8(a) Contracting, and Energy/Tax Trust Settlements. ANVCA staff and Fly-In participants were also able to participate in Bristol Bay Native Corporation's Wild Salmon Day Celebration. Quyanaa anaa to all who helped make it a successful week! We hope to see everyone again next year. Request a copy of the 2017 Fly-In report here. In the spirit of legislative priorities, we're asking that our Members complete this 7(j) Revenue Sharing survey , as ANVCA will use this information moving forward in our work with our Alaska Congressional delegation. On Oct. 6th, ANVCA hosted their monthly Fishnet luncheon at Sullivan's Steakhouse in Anchorage. 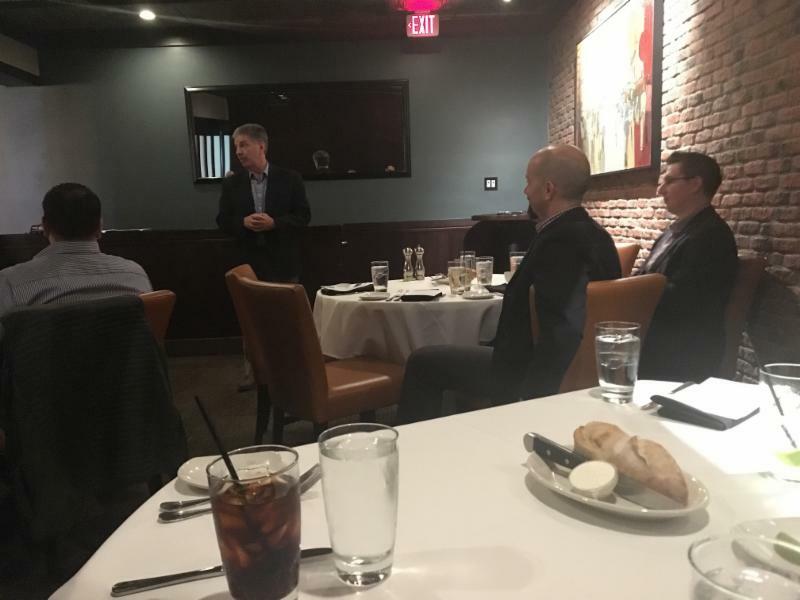 The special guest speaker was Anchorage Mayor Ethan Berkowitz, and members had the opportunity to discuss the importance of ANCSA corporations in helping shape the Municipality of Anchorage's economy, and the potential effects of SB 91 on that economic development. Thank you for joining us, Mayor Berkowitz! Read more about the Mayor of Anchorage. How can participating in a carbon offset program benefit Village Corporations? Can putting a price on carbon emissions incentivize environmental responsibility while generating meaningful profit for Village Corporations? Learn more about how the California Cap and Trade Program would work in Alaska. Dr. Harvey Meir has an extensive history of strategic business advising, and currently serves as the Executive Director for the Institute of ANC Director Education. 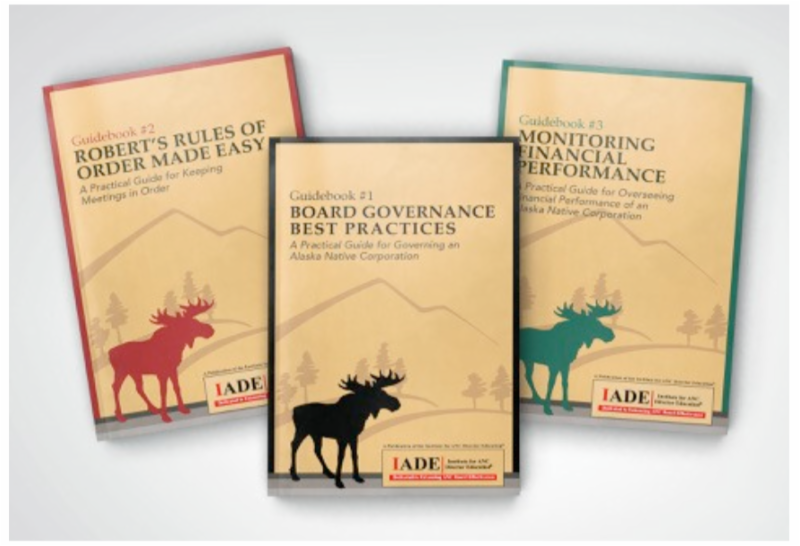 Read here for more information about his guidebook series for ANC Directors, "When You Are Called To Govern," as well as his book on corporate morale in the face of economic downturn, "The D'Artagnan Way." ANVCA would like to welcome Togotthele Corporation , Bean Ridge Corporation , Becharof Corporation , Dineega Corporation , and Tikigaq Corporation on board as our newest paid Members! 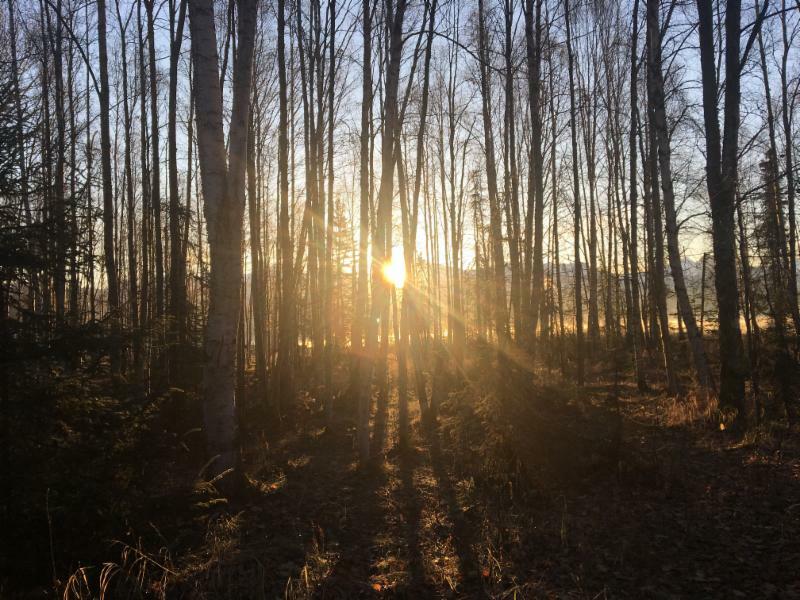 For some time, Eklutna, Inc. has been working on improving and expanding resource infrastructure, improving the health of the Eklutna community via the Dam Removal Project as well as working with Cook Inlet Tribal Council (CITC) to expand the Ernie Turner Center. 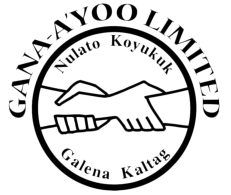 Gana-a'Yoo, Limited has experienced a surge in business development, thanks to strategic partnerships with Outside organizations and a decision to expand their portfolio. On October 16, 2017, the U.S. Supreme Court denied a Writ of Certiorari field by Rothe Development, Inc. (“Rothe”), in the case of Rothe v. U.S. Department of Defense and U.S. Small Business Administration. The Writ was denied without one Justice of the U.S. Supreme Court dissenting. Rothe had challenged the Constitutionality of the 8(a) Program in the trial court and in the D.C. Circuit Court of Appeals. At both the trial court level and at the D.C. Circuit Court of Appeals the Department of Justice (on behalf of DoD and SBA), as well as Rothe argued that strict scrutiny review applied. During this time, the Native American Contractors Association hired Christine V. Williams of Outlook Law, LLC, to represent its interest in this case. Others quickly joined, including the following: the Alaska Federation of Natives, Alaska Native Village Corporation Association, National Congress of American Indians, Sovereign Omaha Tribe of Nebraska, Great Plains Tribal Chairman’s Association, ANCSA Regional Association, the National Center for American Indian Enterprise Development, Native American Finance Officers Association, the Cherokee Nation, Cherokee Nation Businesses, and U.S. Congressman Don Young (R-Alaska). While DOJ and Rothe argued strict scrutiny applied because the 8(a) Program was race based, the Native Enterprise Coalition argued that rational review applied to Native Enterprises and the 8(a) Program. Rational review would mean that the burden fell on Rothe to prove that the 8(a) Program is arbitrary or wholly irrational by negating every conceivable basis that might justify the Program. In contrast, strict scrutiny is applied to race-conscious/race-based programs. When strict scrutiny is applied, a program, such as 8(a), must be proven that Congress had a strong basis in evidence that is was necessary and appropriate to exercise legislative powers by enacting laws, such as the 8(a) Program. Moreover, such a program must have narrowly tailored means to reach the necessary end. In short, strict scrutiny is a very arduous review undertaken by the courts to determine if a law is Constitutional. Stepping away from the strict scrutiny argument proffered by DOJ and Rothe, the D.C. Circuit Court of Appeals applied the rational review standard, which only the Native Enterprise Coalition had argued applied. To that end, the DC Circuit Court of Appeals, Judge Pillard writing for the Court, evaluated whether or not the 8(a) Program was a racial classification subject to strict scrutiny. The Court determined that the statute (statute is facial challenge-regulations are an as applied challenge) is not race based. In so finding, the Court looked to the explicit language of the statute and although the findings of the statute may indicate a racial preference, findings are like a preamble and not binding. Rather, the Court found that the operating language of the statute did not create a racial presumption. Indeed, the Court found, Congress affirmatively choose to jettison an express racial presumption that it considered and dropped. The Court found that if Congress had wanted to enact a racially presumptive statute, it could have done so expressly, like it did in other cases, not the roundabout way it might have done so in this case. Moreover, the Court also found that the 8(a) statute was enacted before strict scrutiny applied to racial classifications, so Congress was not trying to covertly do what it could not do outright. Ms. Williams took on this case, and contributed much of her time pro bono to this effort. This is a case that has national importance for all 8(a) Participants and Ms. Williams, born and raised an practicing in Alaska, has been recognized as being in the Top 5 percent of Best Lawyers in the entire nation. Ms. Williams has a special relationship with ANVCA. When ANVCA was founded, she wrote the original Articles and Bylaws, which evolved over time, and represented ANVCA in a pro bono capacity for years. Ms. Williams received the first ANVCA Member of the Year, a honor embodied on a plaque she proudly hangs in her office. After having many conversations with our affiliate members, it became clear to us that our currently membership structure did not allow for full participation amongst our members. It is extremely important that our organization gains dues-paying members within the Village Corporations we represent. 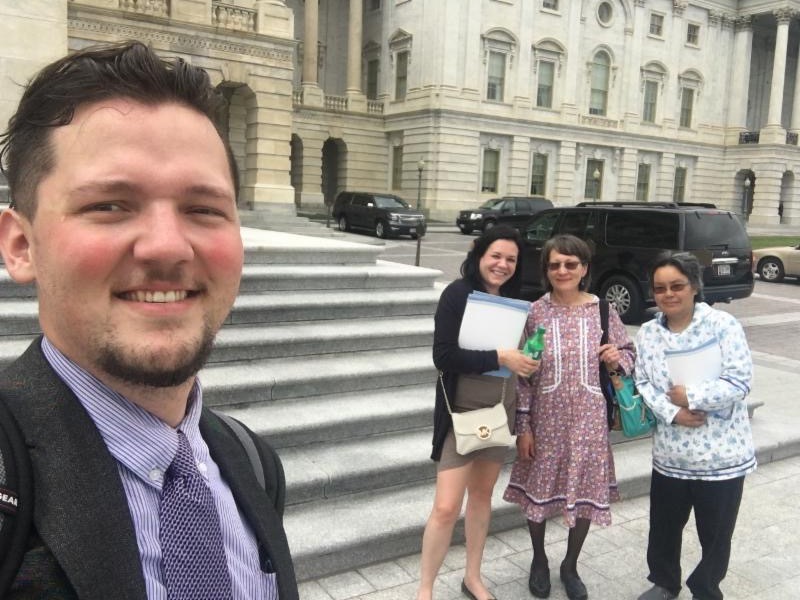 Having full dues-paying representation within our organization showcases our strength and unity and significantly strengthens our collective voice when talking with Public Policy influencers. Please read below for how to become a full member today! At ANVCA, establishing long term Partnerships are essential. Partners are entities that have a similar mission or wish to actively support our mission of promoting Village Corporation success and protection of our Native lands. A Partner is committed to actively work towards the mission.